In today's digital world, social media is everywhere. The technology has transformed almost every aspect of our lives -- from communication and collaboration to marketing and sales tocustomer engagement and service. Even professional networking and job search tactics have shifted to take into account sites like LinkedIn. But for businesses, just having a presence on social networking sites isn't enough, says Jason Berkowitz, vice president of client services at Seven Step Recruiting Process Outsourcing (RPO). To attract the top quality talent, businesses must engage candidates through venues like social media to sell them on the merits of the company and its mission, Berkowitz says. And one way to do that is by developing an effective social media hiring strategy. "An old advertising adage is that half of your advertising budget is wasted. The problem is, you don't know which half. The same is true for recruitment and social media." "The goal should be to both make potential applicants aware that you have jobs available and to also show what it's like to work for your company -- showcasing the company's personality and culture," Berkowitz says, but that involves more than just posting an endless stream of want ads. "You should focus first on creating a 'human face' for your brand to create real-time conversations with candidates and be authentic as possible. Show the true benefits of connecting with your company's accounts and make it a personal experience for candidates," Berkowitz says. It's important to remember that a social media recruiting strategy will become a two-way conversation between the company and potential hires. Unlike traditional media or advertising, the goal is to create a conversation with potential candidates, not just push content to them. "Social media also allows for connections with candidates in a more personal and engaging manner," Berkowitz says. "Social media can be used to form relationships with candidates and create an outlet of communication that may have not have been available before," but remember that communication like this goes both ways. Expect that candidates may offer you feedback on your recruiting and hiring process as it evolves, and they may come up with questions, concerns or issues you hadn't thought of. That's why it's important, Berkowitz says, to make sure your messaging and communications are consistent. It's especially important to have a social media expert skilled at responding to applicants and customers, someone with marketing, communications and social media experience who can act as the company's mouthpiece in a professional, yet engaging and cordial way, says Kimberly Samuelson, director of enterprise content management strategy at Laserfiche. "You want someone who's well-versed in traditional marketing practices, but also someone who understands how candidates interact with companies and respond to engagement online," Samuelson says. "So, there should be a little bit of human psychology thrown in as well." Whoever's in charge of the social media strategy should have experience responding to customers, both when feedback and inquiries are positive and when they are negative - you always want to put forward a professional, but approachable corporate image," Samuelson says. "With so many people using social media, you have to understand not everyone's using the same networks. It can vary by industry." "You should establish rules of engagement. Determine who will post content and respond to questions, what topics will be discussed, what the turnaround time is for responses, how many times a day you will post content, what tools you will use to post content, and what candidates would want to learn about your company," Seven Step RPO's Berkowitz says. One of the best reasons to integrate social media into your overall recruiting, application and hiring process is that it can shorten the process, says Berkowitz. Social media not only allows your business to find candidates and generate leads faster, but allows for a direct connection to candidates who may want to work for the company, even if they're not actively searching for a new position. 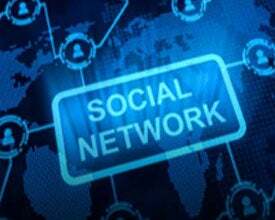 "Social media also helps to build a network of connections that includes both passive and active candidates. And since this network of candidates is constantly evolving; there is always a chance of someone being qualified for a position," Berkowitz says. Another benefit of social media technology is that it's easy to manage and monitor your progress and analyze what's working and what isn't. Tracking your social media efforts to see where successful candidates are coming from and what drew them to your company. "Statistics like number of hires, increases in followers or page 'likes,' and number of shares and responses can all help to tailor your social recruitment strategy and make improvements where needed," he says. Though Facebook, LinkedIn and Twitter are the most well-known, don't discount other social media outlets, says Laserfiche's Samuelson. As is the case with almost any new technology, social media is very much about deciding what's the best fit for each company, leveraging what works and discarding what doesn't, she says. "With so many people using social media, you have to understand not everyone's using the same networks. It can vary by industry. Indeed.com performed a survey that showed one of the fastest-growing social media sites was Instagram. That could make a lot of sense for companies with a design, photography, architecture or travel focus, for instance, but it's all about which technology and platforms you can use to drive engagement, loyalty, and better business responses," Samuelson says. To that end, Berkowitz says, you'll need to compile research and analyze the data and your business needs to see where your candidates are and then join the conversation on those networks. Remember, too, that new social media channels are springing up all the time, so your business must stay current on what technologies, platforms and tools potential candidates are using, Berkowitz says, and then shift your strategy accordingly. "It's also important to realize that users will switch from one to another as newer, 'cooler' channels arise," he says. "For example, Twitter's growth started to slow as newer sites like Pinterest launched." Don't assume that candidates using social media are all younger, Gen-Xers ormillennials, says Berkowitz, or you could be missing out on a large pool of highly qualified, seasoned workers. One of the fastest-growing demographics on Twitter is 55 to 64-year-olds and Facebook it's 45 to 54-year-olds. "It's much more important to focus on creating and delivering content these age groups will respond to and then segment that according to your audience, Berkowitz says. Finally, Berkowitz says, don't neglect your traditional hiring strategies and focus exclusively on social media or you'll lose an equally valuable portion of your available candidate pool. Make sure your social media sites are accessible to candidates via your company's Careers page, in employees' email signatures, company newsletters and job announcements. If job-seekers don't know about your social media presence and can't access these sites, the strategy won't be successful, and you could miss out on some great talent, Berkowitz says. "Social media has to be a supplement to traditional hiring strategies, not a replacement for them. An old advertising adage is that half of your advertising budget is wasted. The problem is, you don't know which half. The same is true for recruitment advertising, marketing and social media," Berkowitz says. "As the recruitment media universe has become more fractured, it's more important than ever to have a presence in as many different places as possible to reach the widest possible audience."